The Elgin Military Museum is committed to expanding the understanding of these incredible machines and that rare breed of men who commit their hearts to these black beauties. 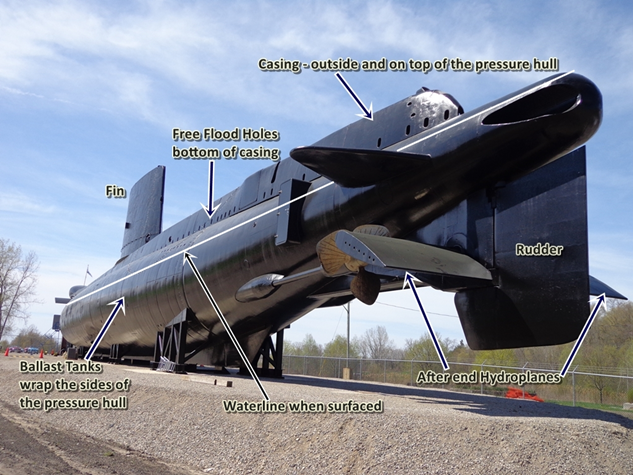 Much can be gained by reading and surfing the web but there is nothing like firsthand descriptions of how things work on a submarine by those who used the equipment and experienced the situations. The museum is very grateful to the many submariners and other naval personnel that have helped bring this wealth of information to our website and our archives. From CC1 to the O-Boats, there is an unbroken link of courage and daring do which supports the men and women on the Victoria Class in the seas today. 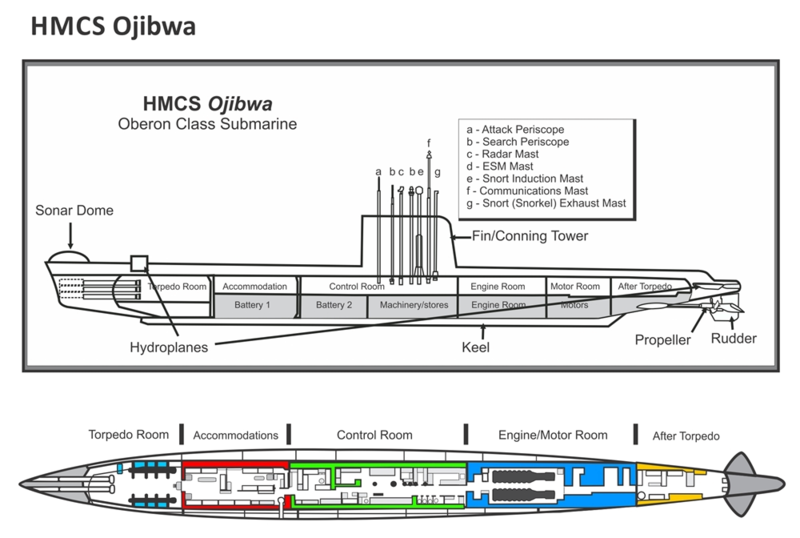 There are not many opportunities to see a submarine out of the water and most people are astounded at how big Ojibwa is when you can see both what is normally visible when she is in the water and what you can see now that she is not.